Due to inclement weather, this event has been postponed. Stay tuned for updates. Learn what it takes to get into college, about different careers and how to get involved in your community via service opportunities! Parents and students can attend and learn what it takes to get into college, about different careers, and how to get involved in the community via service opportunities! Attendees can attend multiple breakout sessions to learn about college admissions, financial aid, and more. Colleges and universities will be represented at a college fair and available to speak with students about opportunities at their institutions. Student athletes will have access to recruitment professionals who can answer questions about eligibility for scholarships. 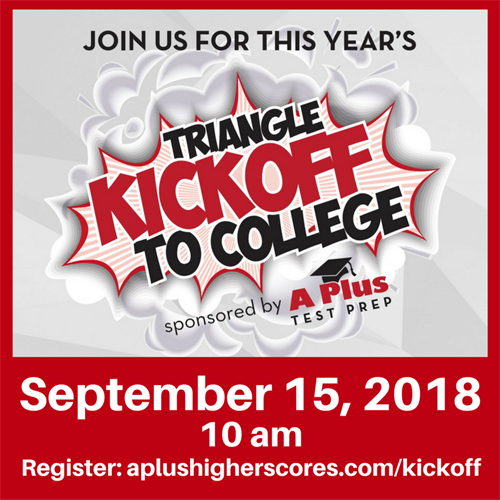 There will be an SAT/ACT prep session that will cover basics about the admissions tests, advice for preparation, and how the scores can be used to earn college scholarships. A host of community organizations will be available to discuss volunteer and service opportunities that can help students explore different career paths and build resumes that demonstrate their gifts outside the classroom. Take a look below at the highlight video for last year.The day will include a panel discussion & a college fair made up of colleges and universities as well a community organizations. Check out last year's event!